Baby Changing Units. Folding baby changing tables for sale. 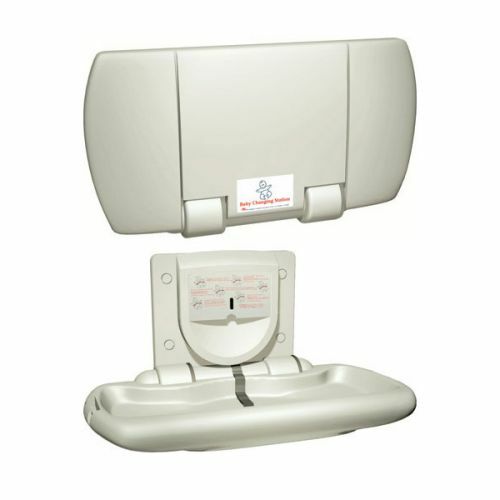 Our wall mounted baby changing units are of the highest quality, manufactured to meet UK and EU regulations. They are thoroughly tested to hold recommended weights, ensuring a safe platform for changing nappies. 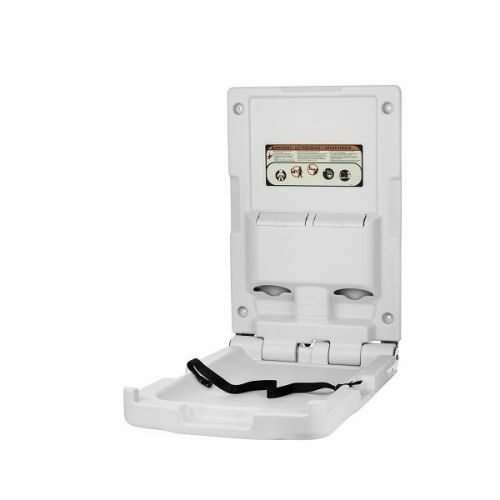 They are also designed to have no sharp edges, giving you peace of mind. 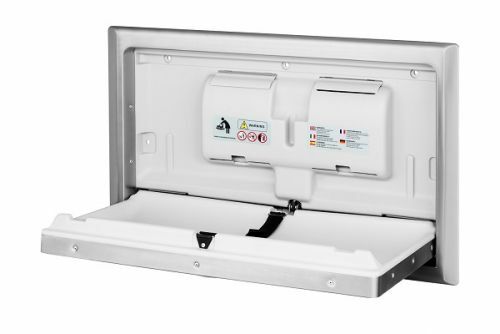 Our horizontal fold down baby change tables are made from polyethylene, providing a convenient surface that is easy to clean. They also fold away to save space when not in use, so if you’re looking to buy baby changing units for public toilets, you’ve come to the right place. Find out more information on our folding baby change tables by clicking on the individual products listed below, or download our baby changing unit brochure here. We're confident in saying we sell the best baby changing units in the UK, and take great pride in supplying them to public buildings, workplaces, restaurants, hotels and hospitals all over the country. We champion family-friendly facilities here at Washware Essentials, and if your premises are open to the public, it’s important to cater for everyone. The better your family washrooms are, the more repeat custom you can expect. Our range of baby changing tables for business and public toilets are second to none, and you can be assured of a high-quality product that’s safe, clean and built to last. All units have an easy-opening mechanism for one hand, allowing you to carry your baby in before settling them down on the secure platform. All tables also have in-built hooks for bags or clothing, meaning you don’t have to bend down to place belongings on the floor. The polyethylene material has an antimicrobial agent which prevents odorous and stain-causing bacteria, reducing the potential for cross-contamination and allowing for easy cleaning. 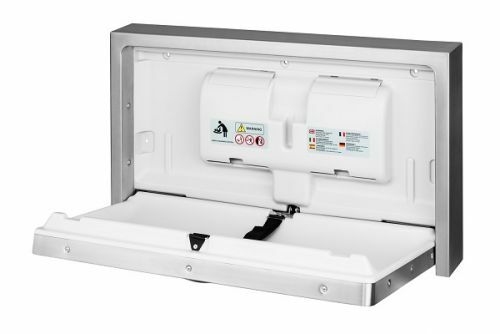 Every parent knows the joys of nappy changing present various challenges, particularly when your little one tries to wriggle away mid-wipe, but our intelligently-designed baby changing units come with safety straps to prevent against accidents. All products come with a year’s warranty and we can safely say you won’t find a better range of commercial baby changing units online. Check out the full range by clicking on the individual pictures above.